A beautifully layered portrait of motherhood, immigration, and the sacrifices we make in the name of love from award-winning novelist Nicole Dennis-Benn. 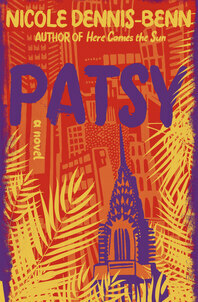 When Patsy gets her long-coveted visa to America, it comes after years of yearning to leave Pennyfield, the beautiful but impoverished Jamaican town where she was raised. More than anything, Patsy wishes to be reunited with her oldest friend, Cicely, whose letters arrive from New York steeped in the promise of a happier life and the possible rekindling of their young love. But Patsy’s plans don’t include her overzealous, evangelical mother—or even her five-year-old daughter, Tru. Beating with the pulse of a long-witheld confession, Patsy gives voice to a woman who looks to America for the opportunity to choose herself first—not to give a better life to her family back home. Patsy leaves Tru behind in a defiant act of self-preservation, hoping for a new start where she can be, and love, whomever she wants. But when Patsy arrives in Brooklyn, America is not as Cicely’s treasured letters described; to survive as an undocumented immigrant, she is forced to work as a bathroom attendant and nanny. Meanwhile, Tru builds a faltering relationship with her father back in Jamaica, grappling with her own questions of identity and sexuality, and trying desperately to empathize with her mother’s decision. 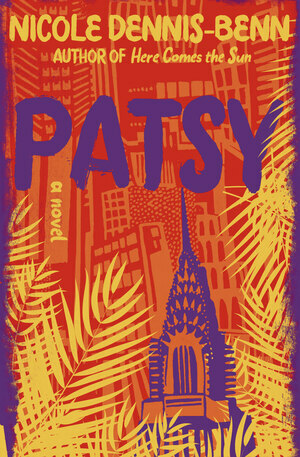 Expertly evoking the jittery streets of New York and the languid rhythms of Jamaica, Patsy weaves between the lives of Patsy and Tru in vignettes spanning more than a decade as mother and daughter ultimately find a way back to one another. As with her masterful debut, Here Comes the Sun, Nicole Dennis-Benn once again charts the geography of a hidden world—that of a paradise lost, swirling with the echoes of lilting patois, in which one woman fights to discover her sense of self in a world that tries to define her. Passionate, moving, and fiercely urgent, Patsy is a prismatic depiction of immigration and womanhood, and the lasting threads of love stretching across years and oceans.